A POMONA woman will not be allowed to drive for 12 months after driving five times over the legal limit. Jaqueline Dale, 51, recorded a blood alcohol reading of 0.198 at Pomona. Dale was fined $900 and disqualified from driving for 12 months. A learner driver was also busted for driving drug (with THC) affected in Pomona. Joel Phillip Edyvean, 22, was fined $100 and disqualified from driving for three months. It comes after a campaign launched by the Daily in partnership with police in publishing a list of drivers busted under the influence on Coast roads in a bid to deter the behaviour. The Sunshine Coast's top cop Superintendent Darryl Johnson said officers were fed up with members of the community gambling with their own and other people's lives for the sake of an extra glass of wine at dinner. "Some people will never change, until something tragic occurs,” he said. Thomas Rixon, 22, of Bells Creek was caught driving drug affected at Beerwah. Rixon was fined $650 and disqualified from driving for three months. Daniel Ossedryver, 37, of Glasshouse Mountains was caught driving drug affected at Glenview. Ossedryver was fined $650 and disqualified from driving for three months. Martin Monnereau, 36, of Cooran was caught driving drug affected at Landsborough. Monnereau was fined $650 and disqualified from driving for four months. Timothy Hoskins, 31, of Caloundra was caught driving drug affected at Kings Beach. Hoskins was fined $120 and disqualified from driving for 10 months. Che Boonman-Burns, 18, of North Maleny was caught driving drug affected at Maleny. Boonman-Burns was fined $400 and disqualified from driving for three months. Pheaktra Phoeun, 32, of Cranbourne, Victoria, recorded a blood alcohol reading of 0.093 at Beerburrum. Phoeun was fined $350 and disqualified from driving for two months. Callum Fitz-Gerald, 18, of Stones Corner was caught driving drug affected at Landsborough. Fitz-Gerald was fined $450 and disqualified from driving for three months. James Hooper, 36, of The Gap was caught driving drug affected at Little Mountain. Hooper was fined $750 and disqualified from driving for three months, with no conviction recorded. Alwin Asai Savage, 22, of Buderim was caught driving drug affected at Yaroomba. Savage was fined $600 and disqualified from driving for three months. Kellie Maree Davis, 37, of Mount Coolum was caught driving drug affected at Coolum. Davis was fined $500 and disqualified from driving for two months. Victor Malcolm Taylor, 24, of Coolum Beach was caught driving drug affected at Coolum. Taylor was fined $500 and disqualified from driving for four months. 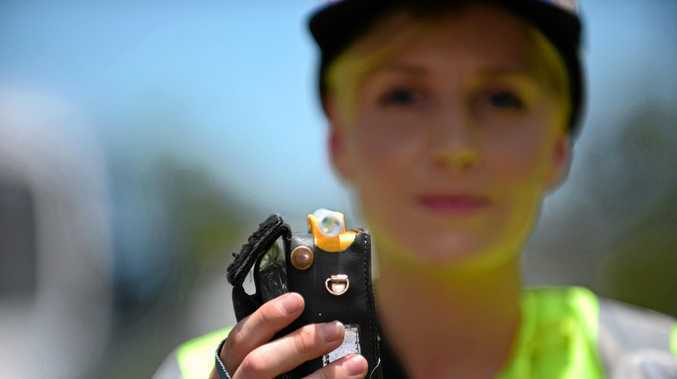 Jesse Riley Archer, 22, of Mountain Creek recorded a blood alcohol reading of 0.081 at Parrearra. Archer was fined $650 and disqualified from driving for three months. Mark Dominic Bickel, 49, of Mountain Creek was caught driving drug affected at Mooloolaba. Bickel was fined $500 and disqualified from driving for three months. Janice Linda Sefton, 58, of Maroochydore recorded a blood alcohol reading of 0.098 at Maroochydore. Sefton was fined $750 and disqualified from driving for three months. Stephen Ashley Thomas, 34, of Buderim recorded a blood alcohol reading of 0.082 at Maroochydore. Thomas was fined $600 and disqualified from driving for two months. Ryan Daniel Rostirolla, 21, of Coolum Beach recorded a blood alcohol reading of 0.104 at Buderim. Rostirolla was fined $650 and disqualified from driving for three months. Timothy Michael Barnett, 42, of Buderim was caught driving drug affected at Booroobin. Barnett was fined $500 and disqualified from driving for two months. Trinity Toariki Still, 18, of Kiels Mountain was caught driving drug affected at Maroochy River. Still was fined $400 and disqualified from driving for three months. Anthony John Jackson, 39, of Maroochydore recorded a blood alcohol reading of 0.108 at Maroochydore. Jackson was fined $1200 and disqualified from driving for six months. William James Anderson, 61, of Sippy Downs recorded a blood alcohol reading of 0.083 at Alexandra Headland. Anderson was fined $750 and disqualified from driving for five months. Tegan Marie Dickson, 18, of Buderim was caught driving drug affected at Maroochydore. 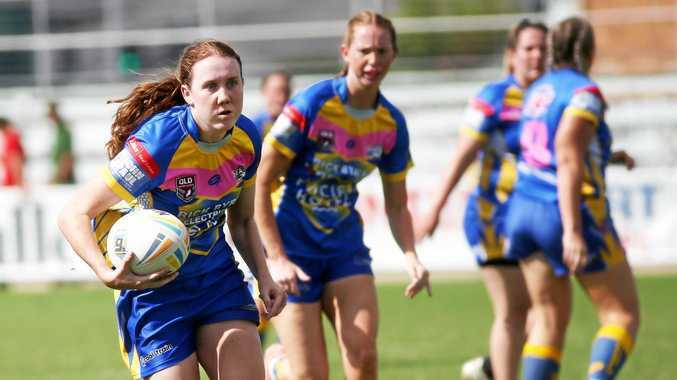 Dickson was fined $300 and disqualified from driving for three months. Benjamin Phillip Hass, 19, of Lake MacDonald was caught driving drug (THC) affected on P Plate at Cooroy. Hass was fined $100 and disqualified from driving for three months. Bryce William Rowlinson, 29, of Noosaville recorded a blood alcohol reading of 0.06 at Wondai. Rowlinson was fined $200 and disqualified from driving for two months. Joel Phillip Edyvean, 22, of Pomona was caught driving drug (THC) affected on L Plate at Pomona. Edyvean was fined $100 and disqualified from driving for three months. Christian Dibbetts, 26, of Marys Creek was caught driving drug (meth) affected at Federal. Dibbetts was fined $100 and disqualified from driving for one month. Mara Gerbino, 34, of Pomona recorded a blood alcohol reading of 0.131 at Pinbarren. Gerbino was fined $500 and disqualified from driving for five months. Jaqueline Dale, 51, of Pomona recorded a blood alcohol reading of 0.198 at Pomona. Dale was fined $900 and disqualified from driving for 12 months. Steven John Clarke, 28, of Tewantin recorded a blood alcohol reading of 0.104 at Toowong. Clarke was fined $500 and disqualified from driving for four months.